Champions Mercedes are struggling to cope with being outperformed and beaten on the track, according to Ferrari team chief Maurizio Arrivabene. Speaking ahead of this weekend’s emotionally-charged Italian Grand Prix on his team’s home circuit, Arrivabene stoked up the rivalry and tensions between the two top teams. His Ferrari team showed their comprehensive power and straight-line speed advantage when Sebastian Vettel stormed to victory in last Sunday’s Belgian Grand Prix, beating defending champion Lewis Hamilton of Mercedes into a distant second place by 11 seconds. "They are not used to this," said Arrivabene. "We were silent. We took punches left and right and we got up...We are used to it and they are not." His comments came in reference to Hamilton's suggestion that Ferrari's cars had "tricky" parts to assist their performance-setting speed. The Briton explained that he was not suggesting that there was anything illegal or irregular being used by Ferrari. "I read many articles that talk about our guys who work so well on the car, but then, in the team, I remind everyone that we are not ahead (in the championship), that we are chasing and so we must keep our heads down." He added that Ferrari were ready to cope with the pressure of expectation that comes with arriving at the Italian Grand Prix with momentum on their side. "For us, it would be a dream and a gift to give to all of Italy, but the responsibility has always been there. "And we are still a young team so I don’t guarantee anything for the rest of the season. I just know that everyone wants this..."
Vettel's victory cut Hamilton's lead in the title race to 17 points – a margin that could be overhauled in Sunday's race if the German wins and the Briton fails to make any significant impact or is forced to retire. "It's a recovery, yes, but we're still behind," added Arrivabene. "Now, we have to put it in our heads that if you win a race, you have not won the championship, and that is our goal. 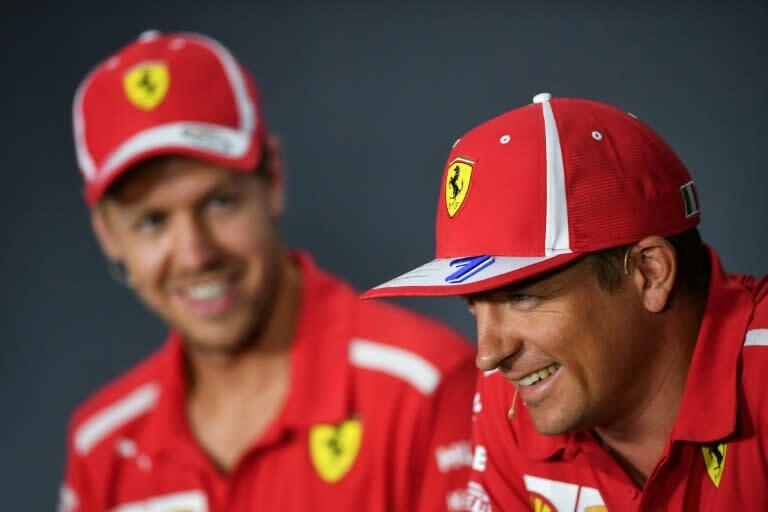 The Italian team's drivers said they felt no additional pressure because driving for Ferrari always brought a high level of expectation for success and high standards of performance. "We know we have a good car now for more or less every track. We have a good package, but we have to work and make it work for us. We want to do our thing and be able to fight for first position and a podium finish on Sunday – that is what you want as a driver. "It is not healthy to over-think." Raikkonen said: "It is just the pressure we put on ourselves for what we want to achieve, but it is very close. In certain conditions and on certain circuits, for one team or the other, the differences are very small – and the results. "We can do our best only and then see what happens."